Welcome home to your own private paradise! This unique property with serene and luscious space creates inspiration and tranquility that will transport you to another place and time. Nestled in a quiet country setting, and yet very good proximity to downtown Orlando, Mt. Dora, Maitland, Altamonte Springs. NO HOA! Spacious rooms inside and plenty of space to expand and to grow your own food, raise horses or farm animals. Zoned agricultural / residential. Updated and artsy house has a brand new roof, stainless steel appliances, central A/C and heat , garage, W/D hookups, and virtually endless possibilities. SchoolsClick map icons below to view information for schools near 3546 Paulette Street Apopka, FL 32712. MFRMLS data last updated at April 20, 2019 9:22:29 AM PST. Home for sale at 3546 Paulette Street Apopka, FL 32712. 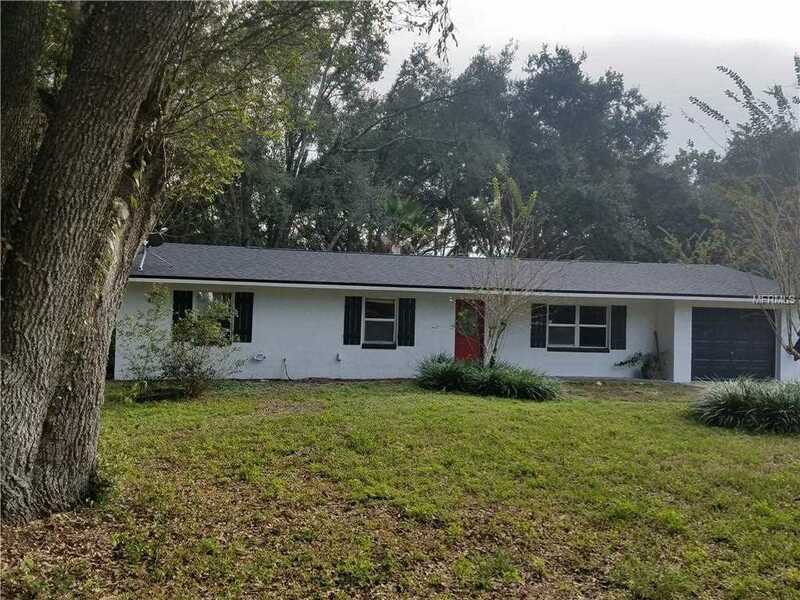 Description: The home at 3546 Paulette Street Apopka, FL 32712 with the MLS Number O5763020 is currently listed at $283,000 and has been on the Apopka market for 68 days. You are viewing the MLS property details of the home for sale at 3546 Paulette Street Apopka, FL 32712, which is located in the Emery Smith Sub subdivision, includes 3 bedrooms and 2 bathrooms, and has approximately 1632 sq.ft. of living area.